Premiership and European champions Saracens have announced the signings of South Africa prop Vincent Koch and Scotland back Sean Maitland. Koch and Maitland, who will both join on two-year deals alongside new signings Schalk Burger (Stormers), Mark Flanagan (Bedford Blues), Alex Lozowski (Wasps) and Save Rawaca (Fiji Sevens), will move to Allianz Park ahead of the 2016/17 season. Koch, who is currently preparing to face England Saxons with South Africa A, will link up with the double winners after a spell with Super Rugby side, the Stormers. The 26-year-old forward, who has been capped by the Springboks twice, expressed his excitement and the challenges that come with his new contract. “I am very honoured and privileged to join a champion team like Sarries,” Koch told the official Saracens website. Utility back three player, Sean Maitland will join Saracens from relegated side London Irish. 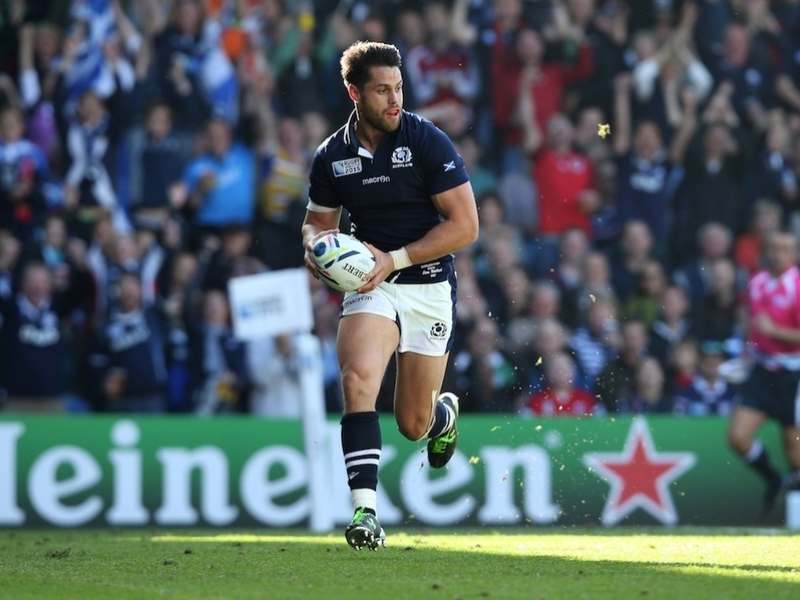 New Zealand-born Maitland has 21 caps for Scotland and also toured Australia with the British & Irish Lions in 2013. Maitland, who is currently on tour in Japan with Vern Cotter’s Scotland side, jumped at the opportunity when offered the opportunity to make the artificial surface Allianz Park is new home. “When I was approached about joining Saracens I had no hesitation in accepting the opportunity to join up with their squad. “The results they have achieved this season speak for themselves but what really appealed was the burning desire from the coaches to continuously improve and evolve. I think the surface at Allianz Park will suit my game and I look forward to meeting up with my new teammates in the summer. Saracens director of rugby Mark McCall said: “Having already announced a number of signings earlier this year, we are pleased to have finally secured each of our targets. “We identified Vincent as a player who could make a significant contribution to the squad at tighthead prop and at 26 he is still a player with huge potential. “Sean is a highly experienced and proven international three quarter, and we believe that he will flourish here.